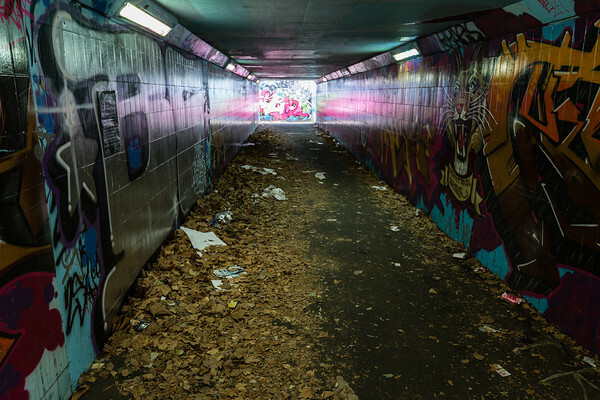 Junction’s dark, litter strewn underpass fails the safety test. After heavy lobbying by JAAG, at long last a real breakthrough has been made to get St Kilda Junction’s notorious aging pedestrian underpass cleaned-up with the aim to improve the perception of safety and deter anti-social behaviour. At a meeting organised by Prahran MP Clem Newton Brown with representatives from State Government’s Public Transport& Roads and VicRoads, attended by JAAG ‘s Kaye O’Connor and Jo McDonald, the Government agreed to spend $60,000 to upgrade the lighting within the walkways of the tunnels. JAAG considers this budgeted amount, together with the undertaking by VicRoads to maintain the area, is a first step towards improving pedestrian, tram and bus passengers safety at the Junction with new improved vandal proof lighting, removal of illegal graffiti, unblocking drains and on-going cleaning of the subway. The cleaning-up has already begun with the lighting to be commenced this year and completed by early 2015. For many years JAAG has been lobbying for pedestrian and cycling access to the 50 year Junction to be brought up to the 21st Century and made more accessible and safer. JAAG contends that thousands of pedestrians and cyclists access the Junction Hub daily. The 50 year old Junction tram stop is the only one on St Kilda Rd with a hub of five tram routes that does not comply with the Disability Discrimination Act’s requirements. The ‘island’ bus stop near Barkly Street deposits passengers who often risk life and limb crossing busy St Kilda Rd south against the lights. More than 3000 ride to work cyclists each day risk injury riding between fast moving lanes of trucks and cars. The Junction has been long proclaimed one of Melbourne’s worst safety Black Spots. Support JAAG by pointing out your safety concerns using the St Kilda Junction pedestrian underpass by commenting using the Contact Us tab.